This analysis is grouped according to key elements of portfolio management, the organizational hierarchy of the portfolio, key aspects of executing the portfolio management process, and measuring value. Defining: The product portfolio manager develops an overall strategy for organizing and managing the portfolio of products, which includes identify common markets, common sales forces, related production and logistics resources and common cultural aspects. Aligning: Based on the strategy, the product portfolio manager prioritizes, selects and optimizes the products in the portfolio to maximize performance. Resources supporting each of the product lines are aligned strategically objectives based on available capacity, relationships among the products, and the opportunities for optimization. Authorizing and Controlling: The product portfolio manager must define and facilitate ongoing processes for making decisions; reviewing and approving; and tracking changes, status and progress, making sure to keep all stakeholders involved. 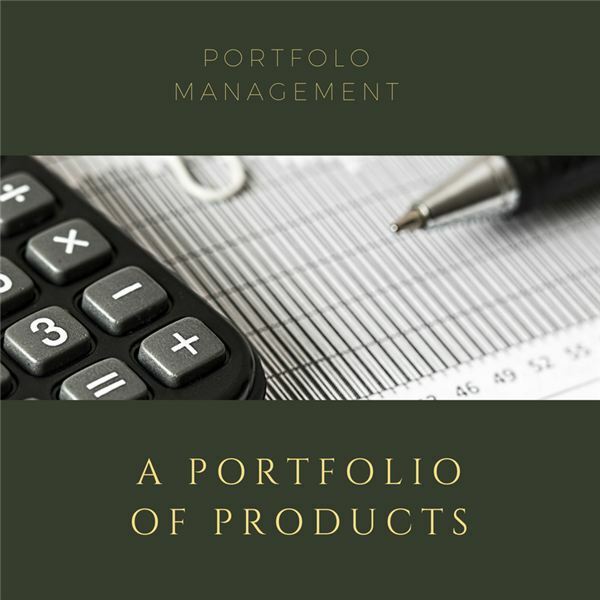 Portfolio – There is an overall portfolio for the various products. This will likely include grouping the products into categories with common characteristics such as common geographic market, common market, or other similar characteristics. Sub Portfolio – This is a grouping of products within these overall portfolio groupings. For example, there might be a sub-portfolio of specific products organized under a geographic portfolio, such as Europe. Program – This could be a strategic change that threads across parts of the product portfolio, such as a new program to develop and test market healthier food products into the product portfolio. Project – This would be a piece of the program with a specific objective, such as a project to test market a specific product. Ongoing Operations – These are the operational functions of managing the marketing, manufacturing, logistics, support and information systems related to the product portfolio. Strategic Drivers – What are the goals of the company with its product portfolio? What are the strengths, weaknesses, opportunities and threats of the company? Budgeting – What resources can we bring to bear on the product portfolio management effort? Optimization – What costs can be shared, risks can be reduced and economies can be realized by choosing and organizing the products in various ways in the portfolio? Guidance, Oversight, Consistent Processes – What discipline needs to be added to the product portfolio management process to achieve and maintain targeted strategic advantages for each product line? Metrics and Reporting – What reports and when need to be provided to stakeholders to help them keep abreast of performance and developments? Communication and Feedback – What lines of communication need to be open and managed on an ongoing basis? The most important question is in how to measure value of the product portfolio management effort. The answer surely relates to measuring performance according to goals and versus the competition. The key is that, however it is measured, that the product portfolio is more valuable than the sum of the value of each individual product or product line. A series of four articles on portfolio management – a facet of management that applies in many areas, not just project management. The articles look at how it has long applied to managing investments, the practice of managing a portfolio of products and much more.